Entrepreneurs and business women from Berlin and London unite in rally cry to big corporates to break down barriers and hire more LBGT staff and immigrants for the good of the economy. 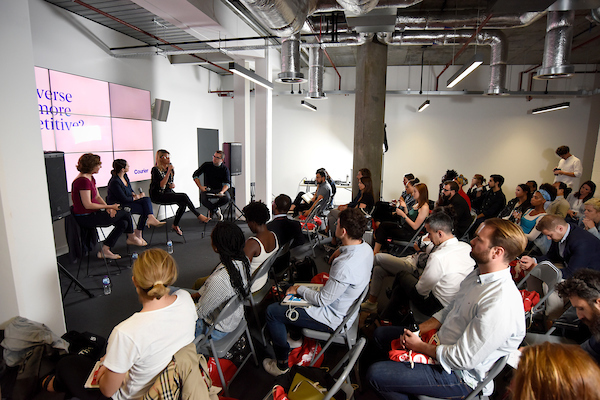 London June 2018: A panel of women from successful businesses in Berlin and London led a discussion at London Tech Week about what value a diverse culture can add to the success of a city and what the two cities can do to improve this. The speakers were Justine Powell, CEO of Handelsblatt global – “FT of Germany”, Mali Baum, the founding partner of W Lounge, a venture set up in Berlin to help big business attract more women to their C Suites and serial entrepreneur and Pip Jamieson, founder of The Dots, a London based creative recruitment agency. All three agreed that both cities have a way to go in achieving diversity. In Germany particularly, the business culture is deeply embedded in traditional patriarchy. Berlin is bucking that trend by encouraging talent from all over the world to join its thriving hub of technology and creative start ups, but the white male intermediary still holds the wealth. 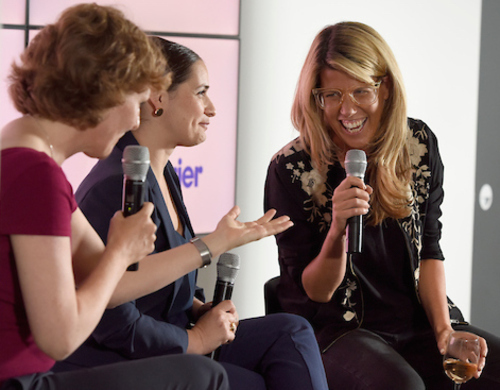 Berlin based Justine Powell pointed out that it is the overwhelmingly obvious that the provision of free childcare for each child over 1 year old is what makes Berlin successful at attracting women, but also in fostering start ups. In London the cost of childcare is far higher at around 1600GBP per month. This means that start-ups struggle to attract women. However Mali Baum added that whilst we need to reach lower socio-economic groups and help refugees, there is a danger that the welcoming culture in Berlin could backfire. “The kids (refugees) will grow up to be European, but many others won’t have opportunities. I am from Tel-Aviv and I have two teenagers, the problem we are facing is the potential ghettos of refugees in Berlin.” So the government needs to do more to address this long term. Henning Ravn from Berlin Partner said of the discussion, “Diversity is clearly a critical factor for the success of a city. It’s also clear that the Trump administration and the Brexit vote have mobilised a global young population in politics. Social media has made this group more connected than ever. So if London and Berlin want to retain their status as hubs of technology and creativity they will have to address some of the issues raised by the panel to keep growing, or face a millennial back lash. Our many experts provide an outstanding range of programs to help companies launch, innovate, expand and secure their economic future in Berlin. A unique public-private partnership, Berlin Partner for Business and Technology collaborates with the Berlin State Senate and over 270 companies dedicated to promoting their city. Berlin Partner is also responsible for marketing the German capital to the world, for example with the successful “be Berlin” campaign. This press release was distributed by ResponseSource Press Release Wire on behalf of Forge Communications in the following categories: Consumer Technology, Business & Finance, for more information visit https://pressreleasewire.responsesource.com/about.